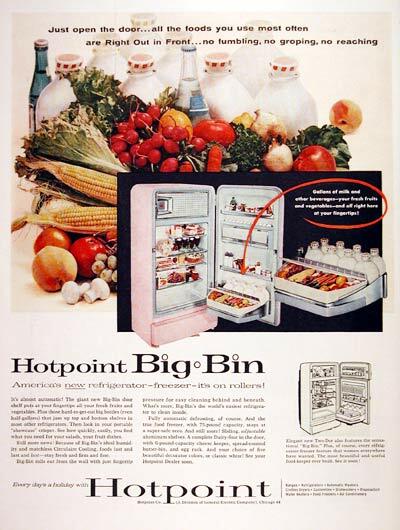 1956 Hot Point Refrigerator original vintage advertisement. With the exclusive new Big Bin door shelf that puts all the foods you use most often right out in front. In five decorator colors.